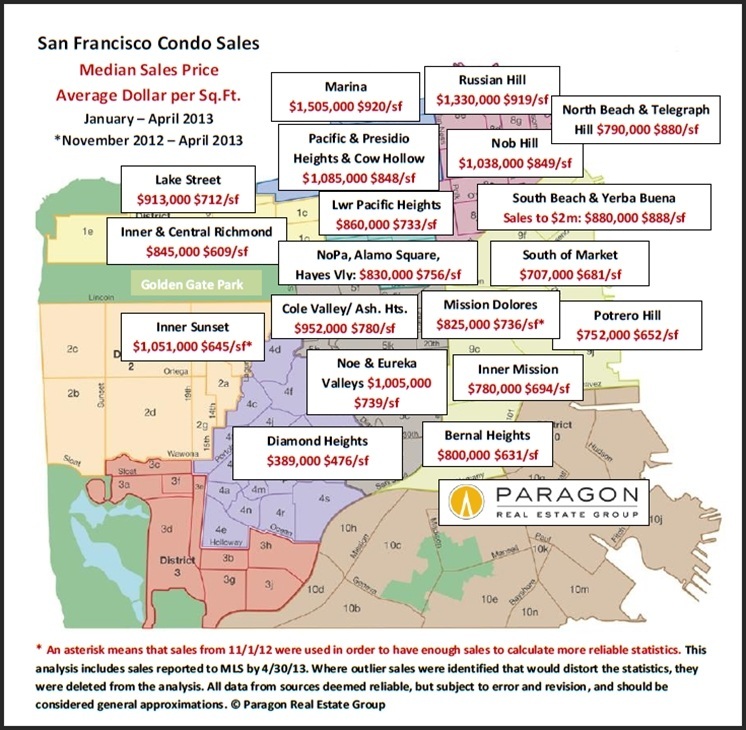 Below are 3 maps delineating recent median home sales prices and/or average dollar per square foot values for San Francisco neighborhoods and communities around the Bay Area. These statistics are generalities which may fluctuate for a variety of reasons, but still give an idea of comparative home values in and around the city. Generally speaking, home price appreciation is continuing and indeed accelerating in 2013, extending the upward swing that began in 2012. This is being supercharged by increasing demand meeting inadequate supply. For more information about current market conditions and trends, please click on the “Market Dynamics Charts” link above. 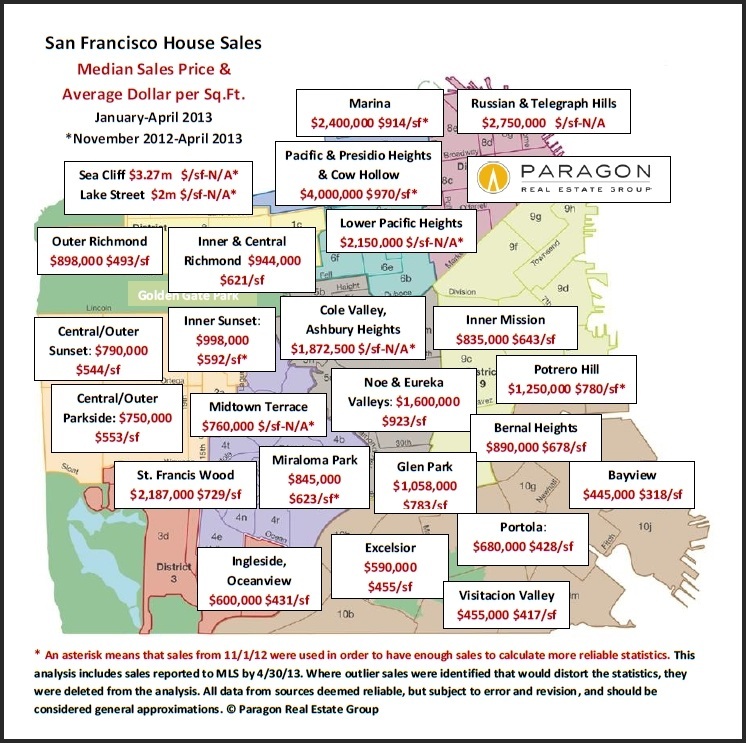 In the maps below, “k” signifies thousands of dollars; “m” signifies millions; “$/sf” means average dollar per square foot; and “N/A” means there wasn’t enough data to generate a reliable number. 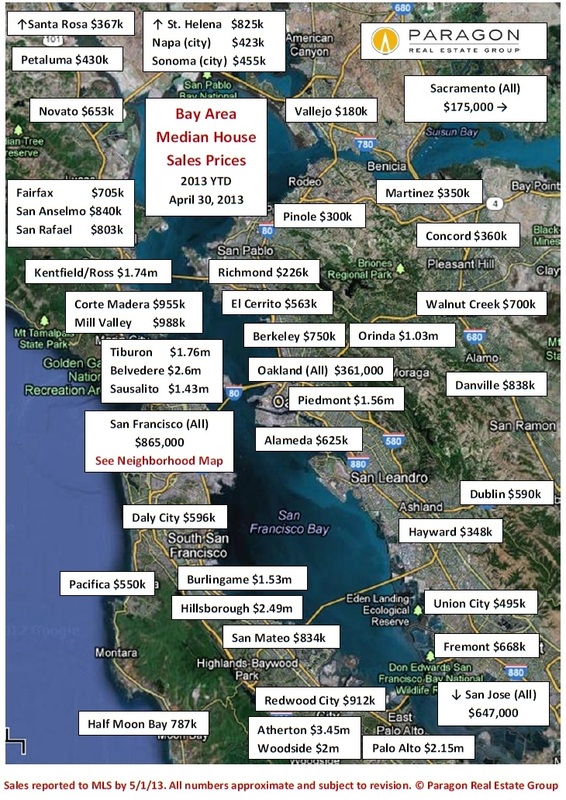 Real estate statistics in the Bay Area are based upon that relatively unique basket of homes that happen to sell within any given period, so instead of being exact measurements applicable to specific properties, they should be considered indications of the direction and approximate scale of market trends. Median price is that price at which half the sales occurred above and half below – a single additional sale can sometimes make a 3-5% difference in overall median price, especially when the number of sales is low. Dollar per square foot is based on “livable space”, which should not include decks, patios, yards, garages, unfinished basements and attics, or rooms built without permit (“bonus rooms” and “in-law apartments”). 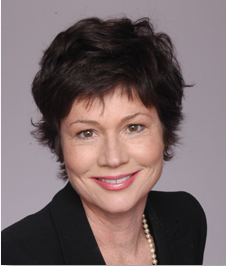 Square footage figures are often unreported, measured in different ways or simply unreliable. Both these statistics can be affected by other factors besides changes in value, such as seasonality, available inventory, variations in buyer profile, changes in the distressed and luxury home markets, and variations in average home size (all things being equal, a smaller home will have a lower sales price but a higher dollar per square foot value than a larger home). These analyses were performed in good faith with data derived from sources deemed reliable, but they may contain errors and are subject to revision. If you have any questions, please contact us.